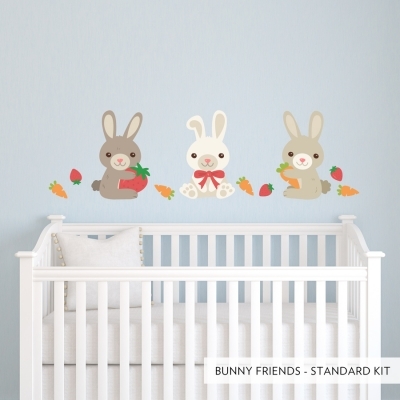 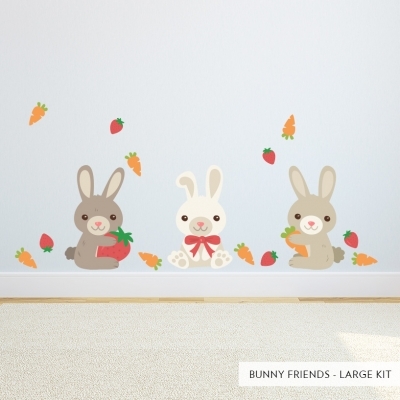 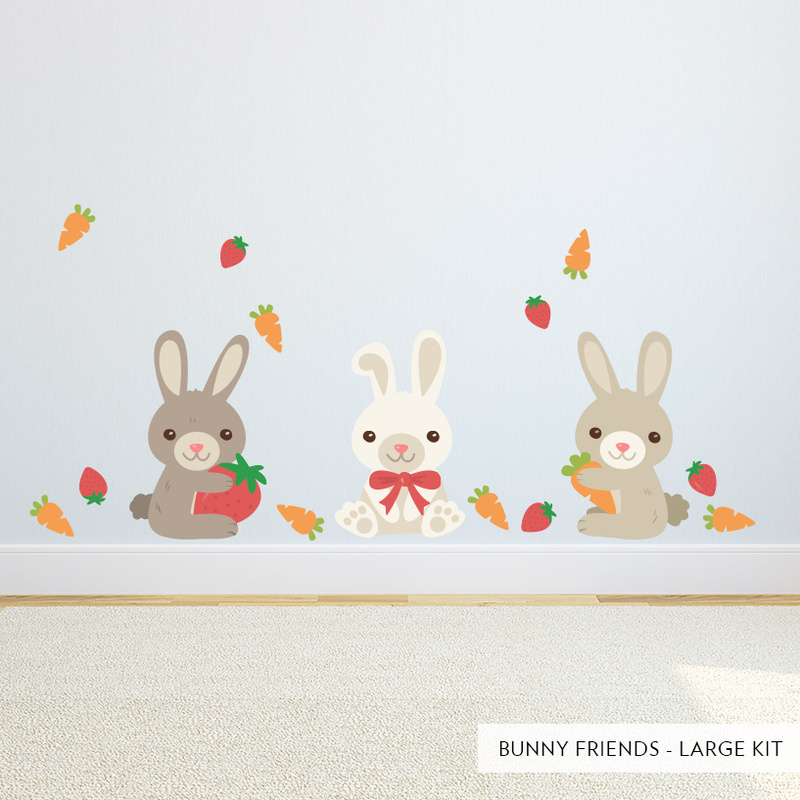 Decorate your nursery or child's bedroom with our adorable Bunny Friends Printed Wall Decal. 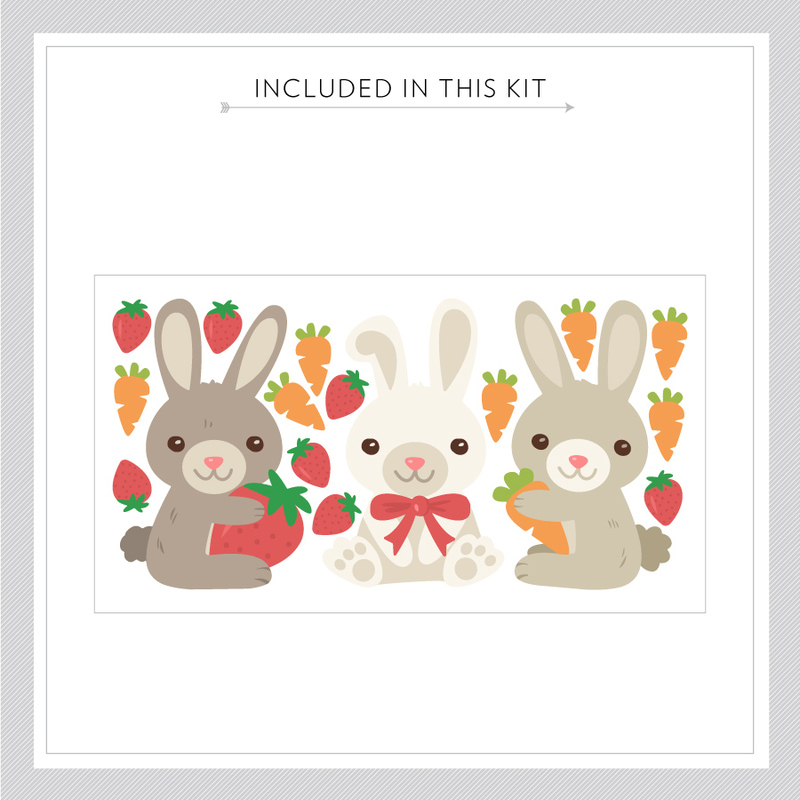 Each kit comes with 3 bunny rabbit wall stickers as well as 7 carrots and 7 strawberries to place anywhere you like! Sheet Size: 12" x 25"